A little search on Google will quickly show the remarkable resiliance of a champagne bottle compared to the hull of an ocean going liner. But celebrating the launch of a ship is very much like the launch of a company, a project or a concept. 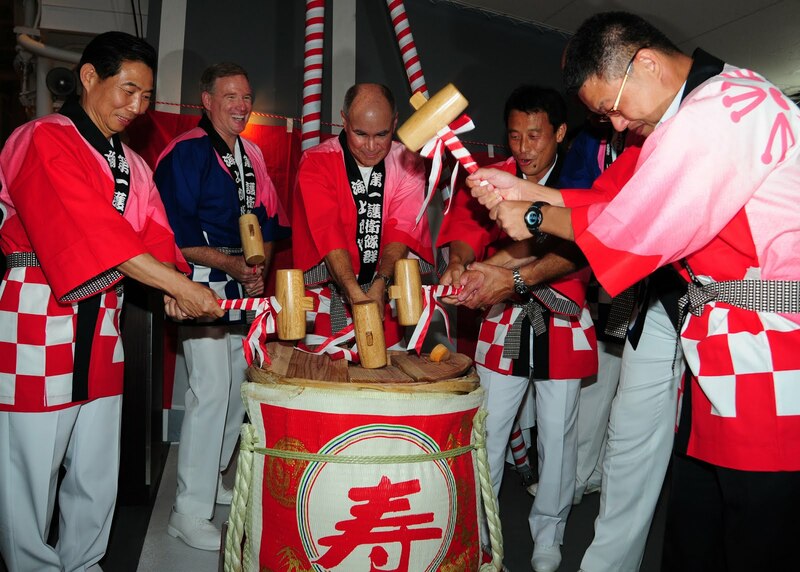 And Japan knows how to celebrate and in this case it's not just about a container aimed at a vessel, it takes mallets, people, ribbons and barrels of sake. And the trick is to stand well back. 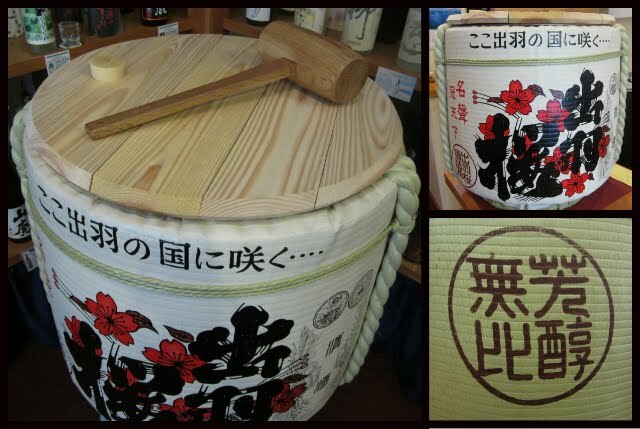 Traditionally sake was sealed, stored and transported in wooden barrels of varying sizes and emblazoned with creative designs. 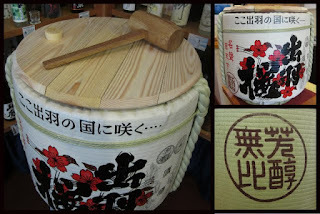 But the importance of a barrel is the end is always a circle and circles represent harmony and perfection. And so to celebrate the launch of something new, the assembled members surround the barrel and pummel the lid with mallets until it breaks, releasing the perfect circle and with it, perfect success. However, I mentioned that these barrels were also used to transport the liquid inside and so are extremely tightly bound and no manner of banging is going to open the lid of an unprepared cask. So when you see the smiling faces celebrating the launch of whatever is new, know that the top has already been prized open, the wood sawn through and then carefully replaced to appear untouched. But try to do this yourself and be warned, it will fight back. 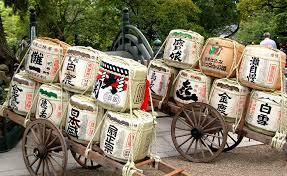 And you'll carry the sweet odour of sake for the rest of the day. This I know from personal experience.